There are many ways to donate to the UAS Eastern European Adoptions Inc. All contributions are sincerely appreciated and help us to address a wide range of needs in the community and in the orphanages abroad. All donations given to the Harvesting Hope Program will receive a tax receipt. Un-receipted donations are gratefully accepted by the UAS Eastern European Adoptions Inc. adoption agency for operational expenses. You can designate your donation to the United Way be directed to UAS Eastern European Adoptions Inc. –Harvesting Hope Program. I give and bequeath the sum of $___________(or “the residue of my estate remaining”) to the UAS Eastern European Adoptions Inc. or the Harvesting Hope Program. Your gift can be acknowledged and put to use during your lifetime. Watch your donation make a difference. 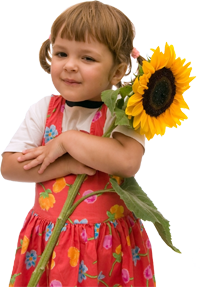 Cash, property or other personal assets can also be donated to the adoption agency or the Harvesting Hope Program as a way to demonstrate a commitment to the orphans of Ukraine and preservation of the cultural identity of the adopted children. You can assign an existing life insurance policy to the UAS Eastern European Adoptions Inc., naming the adoption agency as both the owner and the beneficiary of the policy. Tax receipts for donations to the Harvesting Hope Program are issued for the approximate cash value of the policy. You can purchase a new life insurance policy with the adoption agency serving as both owner and beneficiary of the policy. The donor makes the annual tax deduction premium payments to the adoption agency.